Now that school is in full swing, it’s time to take a good look at your homework room. Do it now, while kids are still excited about the new school year and before they start complaining about their piles of homework; the freshness of a new start and a new, organized space will (hopefully) encourage enthusiasm, not dread, for homework. These ten homework rooms have made our list due to their colors, system, setup, or overall perfection. 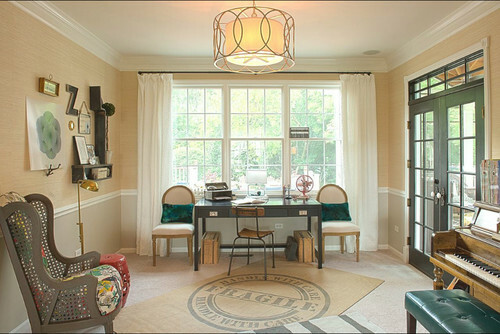 Whether you have a separate homework room or just a nook, these rooms will inspire you to whip your space into shape. Serene colors, cute (and not-so-subtle) word art for a dash of fun, comfortable chairs, and plenty of uncluttered counter space and storage. What more could you ask for in a study space? Brighter colors, conversely, will stimulate kids to wake up and power through their homework. Defined mini-cubicles prevent sibling squabbles over counter space and privacy without obscuring Mom’s view. This one is fresh and full of natural light, a serious space balanced with eclectic decor and non-school elements (note the piano). This cozy nook provides ample space for gear despite its compact size. 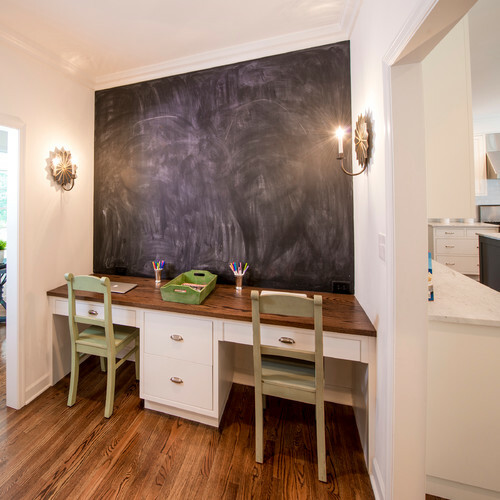 The chalkboard adds a lighthearted touch, and it’s right off of the kitchen for adult homework supervision. Don’t have a dedicated space other than the kitchen table? 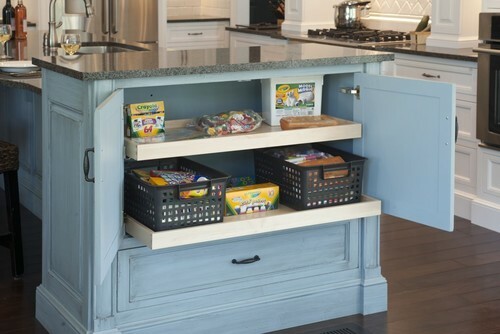 Make use of those island cabinets and keep supplies close at hand. 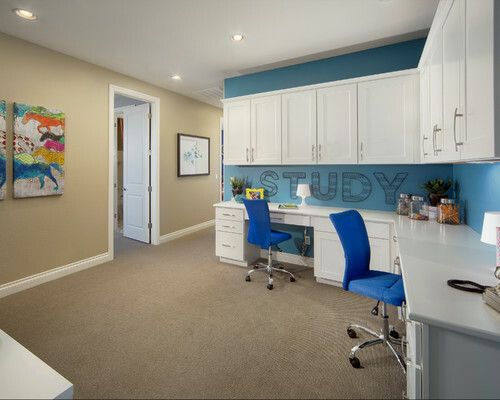 Or perhaps you’d prefer to keep the kids in their own rooms during study sessions. 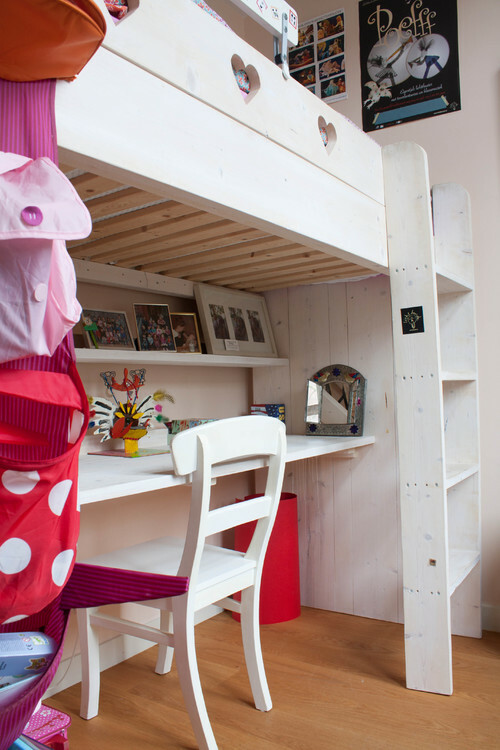 No matter the size of the room, you can carve out a place for schoolwork. Tell us where your kids do their homework – we’re always on the lookout for fresh, new ideas.